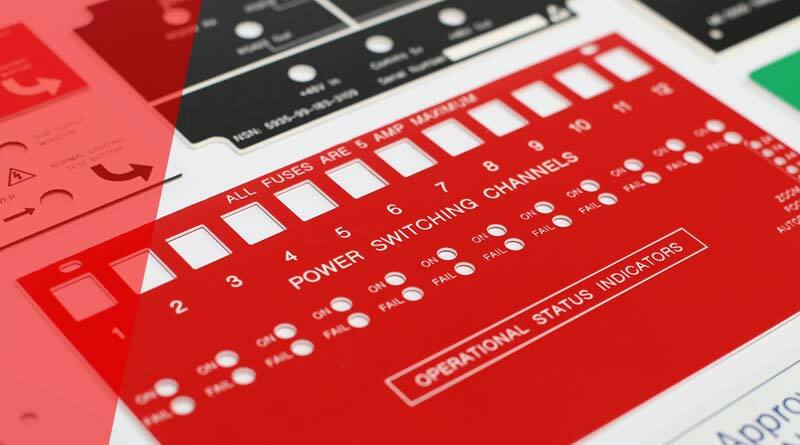 We engrave and cut traffolyte control panels and fascia boards to operate machinery, plant tools and high-tech equipment. Traffolyte is a strong and durable material, making it perfect for a wide range of industries. 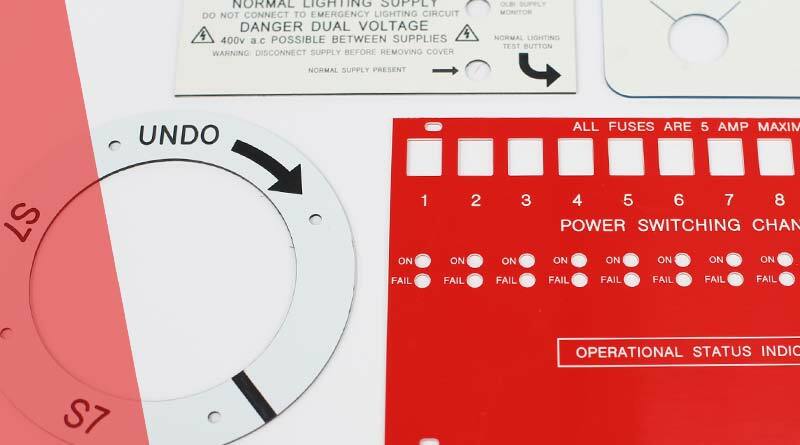 Traffolyte control panels and labels are used where highly resistant labelling is required to operate equipment, instrumentation and machinery safely. 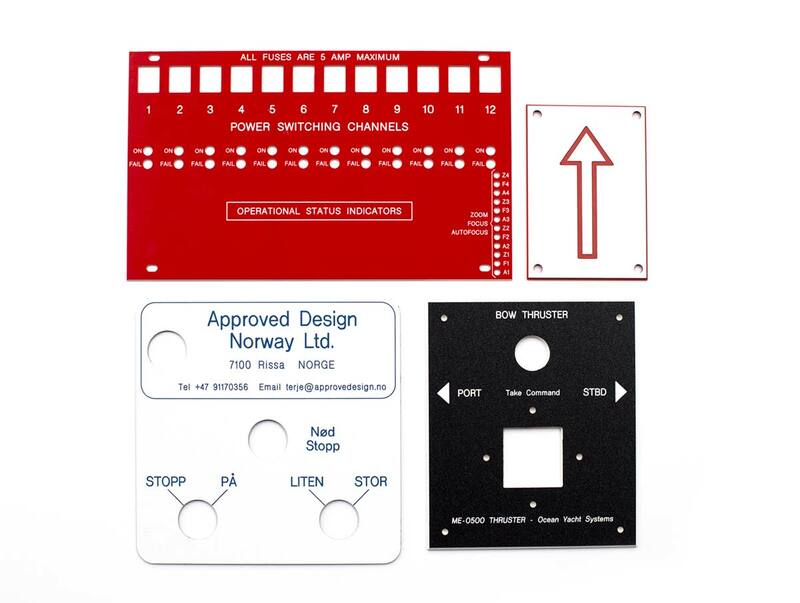 We regularly custom engrave traffolyte fascia boards for factory machinery operation and traffolyte control panels for hi-tech equipment. 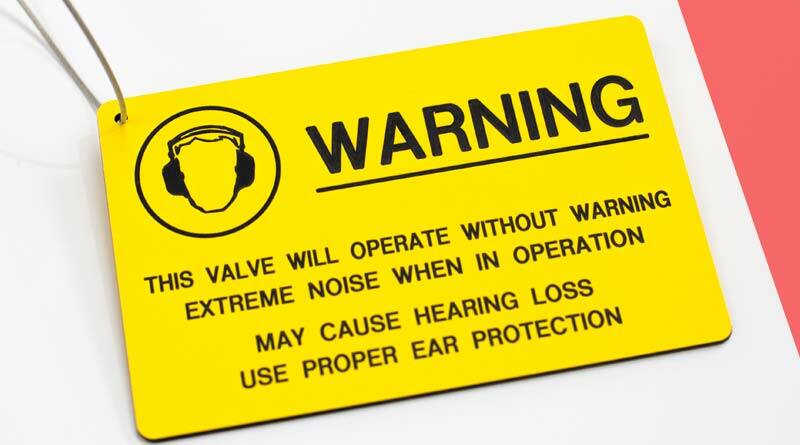 In addition, we manufacture safety signs, tags and labels to warn of hazards. We can laser cut and engrave traffolyte to your exact specification and supply with strong industry leading self-adhesive backing from 3M™. We offer traffolyte in a range of colours and finishes to suit your requirement. 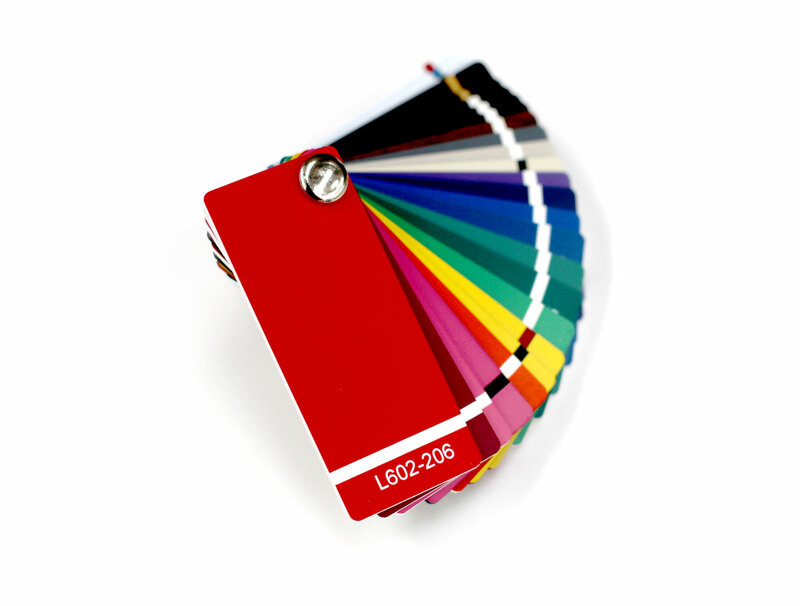 We offer traffolyte a range of colours and finishes to suit your equipment or application. The laminated plastic sheets can be custom engraved into a choice of white, black or coloured cores to suit your branding or specified design. Ideal for labelling storage areas or for durable machine labels, traffolyte tags and labels have the extra durability you need. Phenolic traffolyte is both acid and alkali resistant, meaning even harsh chemicals will not affect or degrade the information. Tough environments require tough solutions, and engraved labels are one of the most durable as the image or text can never be rubbed off. The assorted bright colours and sharp text of traffolyte style labels, are easy to read in the often dark and cramped conditions of comms cabinets and floor outlets, also giving a more professional look than printed labelling. Information can never be rubbed off an engraved label, making them ideal in this zero risk environment. Often used in colour-coded storage areas for bold and easily readable labelling.